There is an interesting phenomenon that happens in a lot of plants where they will actually change direction to grow toward the sun. 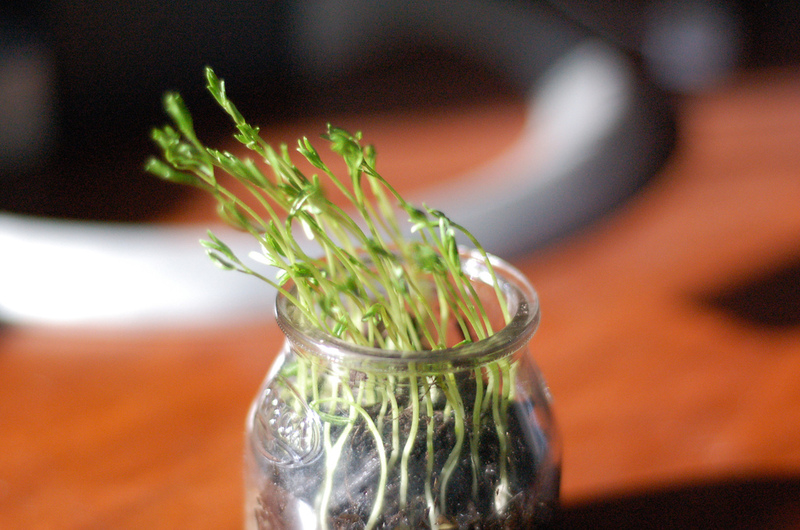 This effect is called phototropism. In very young plants this effect can be observed plainly over a relatively short period of time as shown in this brief video. Notice how the plants react as they grow. I love the plants in that video that are growing longer and longer and then suddenly topple over as they are straining to get to the light. They don’t ever give up. They don’t think that it’s over just because they’re in a darker place than their neighbors. They consistently push toward the light. Sometime they shake around a bit as if they are unsure, but their course is firmly toward the light — the source of their energy. How are we do do this? What does it mean to look unto him in every thought? We need to read our scriptures regularly. We need to say our prayers. We need to partake of the sacrament. We need to learn the principles of the gospel — faith and repentance. We need to love our families. I know that in doing these little, everyday, things that we can keep our lives focused on the savior. I know that as we do that, we will, eventually, feel the love of the savior. We may be like the plant that falters along the way, but don’t give up. Hold on the way and keep pushing toward the light. He is the light. He is real. He does love us. I have been associated with scouting for most of my life. When I was eight-years-old I joined as a cub scout and throughout my youth participated in scouting. I am an Eagle Scout and I have credited my scouting experiences as some that have shaped who I am and the way that I see the world. In my adult life I have continued my association with scouting. The National Eagle Scout association paid for me to go to school through their generous scholarship program. I have served as a merit badge counselor, on the cub committee and I am currently serving as a Scoutmaster in my local troop. I have tried to live the standards outlined in the Scout Oath and the Scout Law and have tried to model these values for the boys that I work with every week. I am deeply troubled and saddened by the choice of the BSA National Executive Board to allow openly gay scout leaders to serve. I believe that this is the wrong decision for the BSA to make. 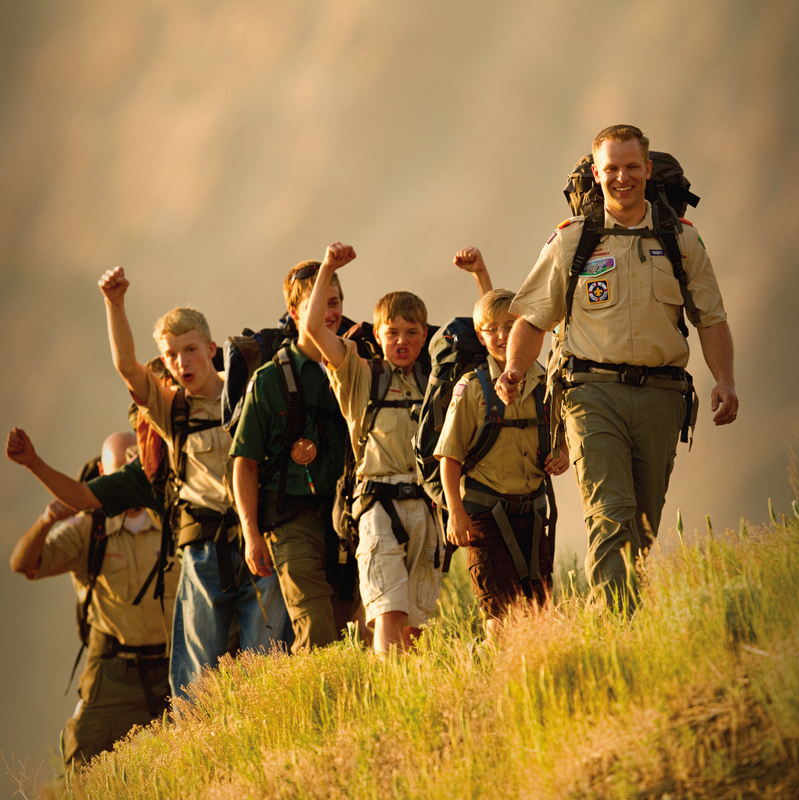 Scouting is an organization whose methods, I believe, are some of the best at teaching boys strong values. I believe that the principles embodied in the Scout Oath and Law are timeless and moral. Because of this belief, it is hard for me to accept that an organization that has morality and Duty to God at its core could take a step such as this. There are two reasons that, for me, this is a troubling development. First is the actions taken by the leadership of the organization at the national level and second is my experience with my boys after the membership policy for youth membership changed several years ago. I will address both topics. How can I teach my boys that they are to be trustworthy, loyal, and brave when the president of their organization blatantly demonstrates that he is none of these on this important issue? The “reasons” are plenty he says that the policy must change. Sure there are social pressures — there are even lawsuits. There are groups that are openly defaming the Boy Scouts for their policy. However, if there is to be something that destroys the Boy Scouts of America I would much prefer it be pressures from the outside that force the organization to die rather than the organization imploding due to social pressure because we chose not to stand by our moral convictions. In 2013, just weeks after the membership policy was amended to allow gay youth in scouting (a change that I understood and even partially agreed with), my boys and I headed to our summer scout camp. We were expecting to have a great week full of water sports, rifle shooting, archery, wilderness survival, rock climbing and just about any other adventure you could want to have as a boy (or as a man for that matter!). Not more than a day into the program we began to realize the very real effect that the policy change was having on our youth’s experience at camp. While boys were at the water front and when they were in the showers they were taunted and teased by other boys attending camp. They were asked if they were gay. Other boys reviled and persecuted them when they did not want to talk about it and tried to dodge the question. Boys were openly speaking of lewd actions. Now a certain amount of this can be attributed to boys just being boys. I usually expect to have to deal with a certain amount of potty talk at camp. These things happen when you get a bunch of 12-13 year olds together. This was much, much worse. The staff of the camp was totally at a loss and had no idea how to deal with the problem. They were confronted with the difficulty of the membership policy in their faces, and this ruined camp for many of my boys that year. The actions of the scouts at that camp resulted in multiple reports to scout executives and review by the adult leaders at camp. I am happy to report that we have not had a similar experience in our other years at camp since that experience. I worry that with this change in policy these types of experiences will come more and more often. I will have to worry about what boys from troops that do allow gay leaders may say or do to my boys. My boys will have to be taught to be resilient and to stand on their own. They will have to be taught that sometimes they have to stand utterly alone in the face of ridicule and political correctness. They will be confronted by questions of sexuality in places and situations that should have been safe havens for these boys. I hope and pray that I am over reacting and that men and women of good faith can come together and continue to provide the scouting program to my children’s generation. I know that in the end God is at the helm. My church, The Church of Jesus Christ of Latter-day Saints, which has long been a proponent of scouting is reviewing its position. I trust that whatever the outcome, God will provide a way for our young men to develop into the men of God that this world so desperately needs. Today I taught a lesson to the deacon’s quorum at church. The topic of the lesson was “What covenants did I make at baptism?” I had been really busy this week and sadly didn’t get to preparing my lesson until Sunday morning. 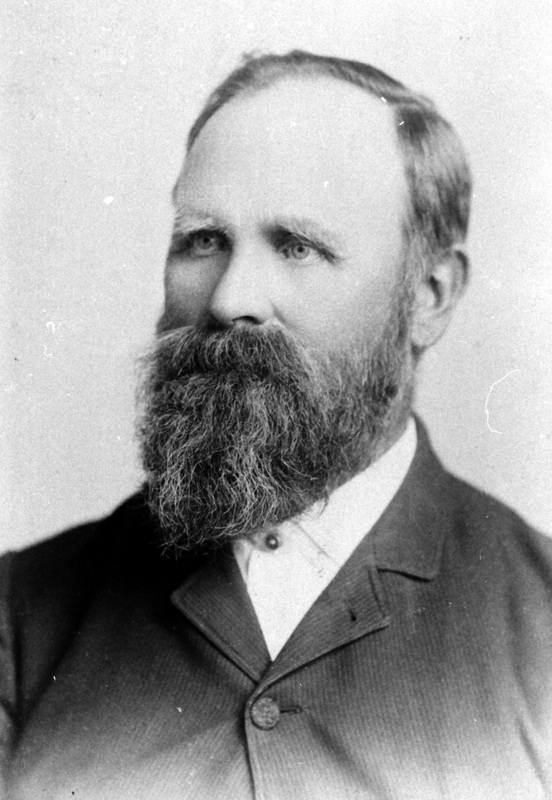 I was struggling to figure out what to talk about when I had an inspiration from the Holy Ghost to share a story about my ancestor Christian Hans Monson who joined The Church of Jesus Christ of Latter-day Saints in Norway in the 1800’s I have always loved this story and I wanted to share it with my deacons as an example of someone who kept his baptismal covenants. I thought it would be a good story to tell but I was completely unprepared for the way that I was touched as I shared this story to these young men today. As I was sharing the story, I was overcome by gratitude for what this man had done for me in choosing to join the church. The spirit filled the room as I recounted his story of conversion and of his courage in standing up for what he knew to be true. I admire and respect this great man and hope to live in such a way as to honor his name. I wanted to share his story here for you to enjoy. This version actually originally appeared in The Friend magazine in 1976 and you can find the original here. Christian fingered the key in his pocket as he walked toward the jail. It had taken months of study and prayer before he had finally decided to use that key for something more important than just opening the jail door so he could carry meals to those who were held there as prisoners. Almost all the men in the jailhouse were Mormon missionaries. Many of them had sailed into the Port of Frederikstad in a pilot boat they had fitted up and named Sions Löve (Zion’s Lion) so that they could easily travel to coastal areas of the Scandinavian Mission, then including all of Norway, Sweden, and Denmark. At first Christian hadn’t paid much attention to the missionaries, for he was busy learning the catechism so he could correctly answer any questions he might be asked by the priest at the confirmation service that was soon to be held for prospective young members of the Lutheran Church. He was not concerned about the fact that almost as soon as any Mormon missionaries arrived in Frederikstad they were arrested. Lutheranism was the national religion of Norway and missionaries who taught other doctrines were promptly jailed, some for only a few weeks, others for many months. During this time they frequently were taken to court and almost forced to renounce their religion and declare allegiance to the national church of Norway. Refusing to do so, they were then returned to their quarters. The startled boy asked him to explain what he meant, so two of the elders began talking about the gospel and gave him a copy of the Book of Mormon. Every night as Christian studied for his confirmation examination, he also studied the Book of Mormon, comparing it with his Bible and the Lutheran catechism. As the truthfulness of the restored gospel became more and more apparent to him, Christian prayed to know what he should do. Since no answer came before the confirmation date, he purposely failed the examination and then made application to take it again in six months. Thinking back over his months of prayer and study, Christian knew what he must do. He finally decided to use his key to the prison to let the two missionaries out of jail long enough to go with him to a nearby fjord so he could be baptized and confirmed a member of The Church of Jesus Christ of Latter-day Saints. Afterward the three walked back to the jailhouse where the elders returned to their room and Christian turned the key in the lock to their cell. Because of the persecution toward members of the Church throughout Norway, and also because he knew how angry his father would be, Christian did not tell anyone of the thrilling event that had taken place on that cold winter night of 1852. He knew he would not be able to make his stern father understand what he had done. He tried to talk with his mother but she would not listen. When the next confirmation service was held, Christian honored his application and appeared for his examination with the other prospective young Lutherans. “Do you believe in God?” was the first question asked by the priest. “Oh, yes,” Christian answered quickly. “Can you describe Him?” was the next question. At this declaration, Christian’s father arose from his seat near the front of the Church and rushed up the aisle and out the door, striking his cane hard against the floor with every step he took. Confused and embarrassed, Christian’s mother followed her husband, and their son was abruptly dismissed. Christian went home wanting to talk with his parents, but he was afraid of what they would say. Having carried his usual armful of wood into the house that night, Christian was piling it near the fireplace when his father came into the room. At the sight of his son who he felt had disgraced him, Christian’s father struck him with his cane and then began to beat him. At last, panting for breath, his father laid the merciless cane on the table. Bruised and bleeding from the beating and the wood that had been thrown at him, Christian dragged himself out to the barn where he threw himself upon the hay. 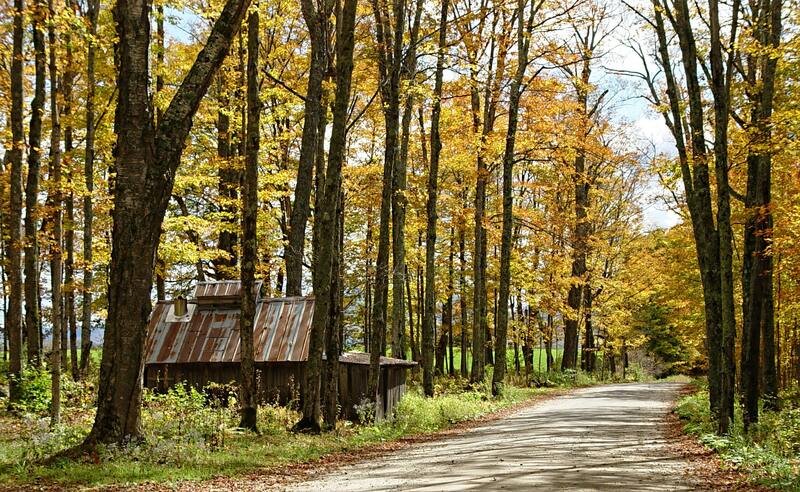 Late that night after her husband was asleep, Christian’s mother noiselessly tied a little food and a few of his belongings in a handkerchief and went out to the barn. Tearfully she treated her son’s injuries as well as she could. “Why, oh why, did you do this thing, Christian?” she pleaded heartbrokenly. When the first streaks of dawn appeared in the sky, Christian’s mother crept back into the house. Christian picked up the little bundle she had brought to him and started walking down the road. As he passed his house he breathed a good-bye to his parents, for he knew he would never see them again. As I was readying bible stories with my daughter tonight, I was pondering on how we as Christians often focus so much on Good Friday and the crucifixion of Jesus Christ that we forget what happened to Him the day before that all-important day. In some ways, perhaps, what happened on “Good Thursday” was even more important than what was to follow on Friday. Jesus Christ had two primary missions to accomplish on this earth that related to our eternal salvation: to overcome sin or spiritual death, and to overcome physical death. Through His death on Good Friday and His resurrection on Easter Sunday, He overcame physical death and made it possible for all of God’s children, each of us, to return to the presence of God one day. However important and transcendent the resurrection of the Savior was, that miracle would have been incomplete without the miraculous atonement that He began on Thursday in the Garden of Gethsemane and completed through His suffering and death on the cross. In the garden on that all-important night, Jesus Christ, the Son of God willfully took upon Him the sins of all living persons. In addition to taking upon Himself the sins and transgressions of all people, He also suffered the pain and afflictions of all men. Because Christ completed His atonement, He is perfectly able to succor each of us in our times of trial. 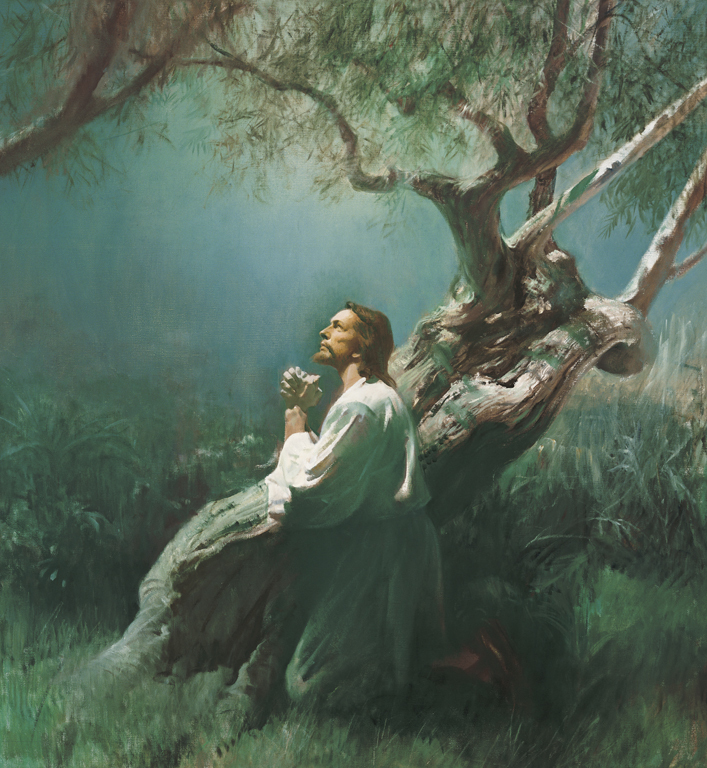 I know that the atonement of Christ is real. I am far from a perfect person, but I have felt the effects of the atonement in my life when I have repented of my sins and tried to follow Christ’s teachings. I have also felt the power of the atonement helping me through some of the darkest and most trying times of my life. I am grateful that Christ completed His mission both on Thursday and on Friday so that our sins can be forgiven and so that we may return to live with God after this life is over. 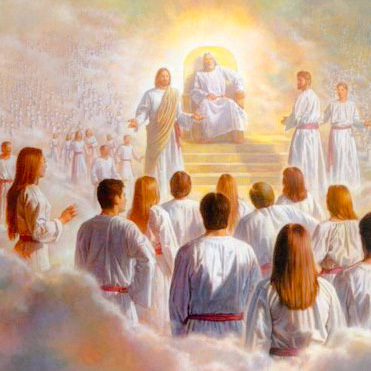 When God held the grand council in the premortal realm, the central issue of contention between the spirits who supported our Heavenly Father’s plan and those that supported Lucifer’s was that of agency. In Moses 4:3 we read that “Because that Satan rebelled against me, and sought to destroy the agency of man, which I, the Lord God, had given him … by the power of mine Only Begotten, I caused that he should be cast down” (emphasis added). The ability of the children of God, us, to choose our own path was so important to God’s plan that He was willing to allow a third part of the host of heaven be cast out because they thought that Satan’s plan of coercion into righteousness was the best method. I believe that we see this same contention over agency raging still today. Satan still very much wants to have his plan work. He tries very hard to get us to do things that abridge our own agency. He also makes it seem attractive to surrender our agency to others. Whenever we choose to follow Satan by disregarding or rebelling against the commandments of God, we choose to surrender some of our agency. When we choose to disobey, we often are left in a situation where our power to choose future action is severely limited by the consequence of our actions. We learn this principle very clearly from the teachings of Jacob in the Book of Mormon. “Wherefore, men are free according to the flesh; and all things are given them which are expedient unto man. And they are free to choose liberty and eternal life, through the great Mediator of all men, or to choose captivity and death, according to the captivity and power of the devil” (2 Nephi 2:27). When we choose to transgress the commandments of God, we are choosing captivity and loss of agency. I believe that in addition to trying to get us to commit individual sins, Satan tries to get us to loose our agency by surrendering it to other people. In ancient history, prophets warned about people subjecting themselves to wicked kings and thereby losing their agency when the kings coerced them to do wickedly (Mosiah 29:16-17). While governments can act rightfully to restrict agency for the protection of the life, liberty, and property of it’s citizens, we should be wary of government, educational, or social programs that seek to abridge our own agency or the agency of others. We need to ensure that we seek for leaders in our society that understand the importance of agency and understand that ultimate agency comes only to individuals and society when they follow the commandments of God.